At first it might seem strange to hear. What does being pregnant have to do with oral health? Yes, it’s important to be healthy overall before bearing children, but did you know that hormonal changes caused by pregnancy can increase your risk of gum disease? This can affect your body’s ability to have a healthy pregnancy. According to your dentist in Waco, maintaining oral health while pregnant is essential to your baby’s health. Fortunately, you’ll know how to care for yourself as well as your new baby after reading this. After you decide to have your baby, schedule an appointment with all your medical professionals beforehand. While your general practitioner or obstetrician seems the most obvious, your dentist should get a call as well. During you visit, you’ll have your teeth cleaned, your gum tissue examined, and any oral health problems treated in advance. Just like any preventive care, determining issues you have early will ensure a healthy start for your pregnancy. If your mouth harbors an infection or signs of periodontal disease, you increase your risk of harming other parts of the body, including areas essential to your baby’s development. Hold off on all elective dental procedures until after your delivery. This does not include routine dental care such as cleanings or checkups. Ask your obstetrician if you need to follow any additional precautions before doing so as well. Tell your dentist about all medications and prenatal vitamins you are taking so they can add it to your medical chart. Your dental treatments may be altered depending on what you currently take during pregnancy. Schedule regular periodontal exams with your dentist during your pregnancy. 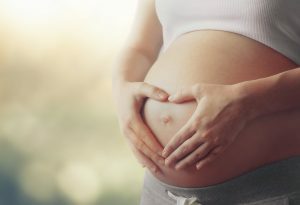 Since pregnancy causes hormonal changes that can put you at higher risk for a condition called pregnancy gingivitis, you’ll need to pay close attention to your gums during pregnancy. This condition is characterized by tender gums that bleed easily. If this occurs, visit your dentist as soon as possible. If you experience morning sickness, rinse your mouth out with water or mouthwash afterwards. If you find it difficult to brush your teeth after vomiting, ask your dentist or hygienist to recommend a bland-tasting toothpaste to make it easier to brush. Stick to a healthy, balanced diet that includes essential minerals good for your baby’s developing teeth, gums, and bones. This includes dairy products, cheese, and yogurt. Watch out for sugary snacks as these will increase your chances of tooth decay. After you’ve delivered your baby, you can resume any dental procedures you were holding off beforehand. You’ll want to schedule another appointment with your dentist in Waco so they can treat any gum problems you have after pregnancy. Don’t let pregnancy affect your regular oral health routine. Schedule an appointment with your dentist today and ensure your baby is as healthy as can be! Dr. Cofer studied biology a McMurray University before attending Baylor School of Dentistry to earn his dental degree. His practice offers many preventive treatments ideal for the aspiring mother, including dental cleanings/exams, periodontal care, and eventually children’s dentistry for your new child. To learn more about Dr. Cofer and his practice, contact him at (254) 732-0309 or visit his website. by: Dr. Rick Cofer at January 8, 2018 .